Shares of Dewan Housing Finance Corporation (DHFL) moved 14 per cent higher to Rs 155 in intra-day trade on the BSE on Thursday on back of heavy volumes after reports emerged that Piramal Group and Baring Private Equity (PE) were in advanced stage of negotiations to acquire majority stake in the housing finance company. The trading volumes on the counter more than doubled with a combined 34.3 million shares already changing hands on the NSE and BSE till 10:56 am. On an average, sub 16 million shares were traded daily in past two weeks on both the exchanges. Currently, discussions with Piramal Group and Baring Private Equity are at advanced stage of negotiation and it is not just for entry as a strategic partner, The Indian Express said in a report on Thursday, quoting 'sources close to the development'. Titan, however, issued a written clarification to the stock market watchdog SEBI saying '..no further discussions or decision in relation to the same (intent to bring strategic investor(s) in the company) have been made by the Board of Directors of the Company. In case any such decision is taken by the Board, we will intimate the Stock Exchanges as per the provisions." Commenting on CARE's re-rating of DHFL, Kapil Wadhawan, DHFL Chairman and Managing Director on March 7, 2019, had said: "the company has engaged with large potential entities to identify and on-board the right strategic partner and are in advanced stages of discussions to achieve the same over the next 90 days". Last week, rating agency CRISIL downgraded its short-term rating on the commercial paper of DHFL to 'CRISIL A2+' from 'CRISIL A1'. The downgrade is driven by a significantly slower build-up of liquidity vis-a -vis earlier expectations because of challenges in timely closure of a number of high-visibility securitisation and other fund-raising transactions over the past month, it said. While DHFL is taking initiatives to address market concerns and increase liquidity, it remains highly sensitive to timely receipt of funds after the completion of these initiatives. Further, the spate of events and news regarding DHFL continues and in a confidence-sensitive market, the company's financial flexibility and resource-raising ability remains impacted, CRISIL said in rating rational. 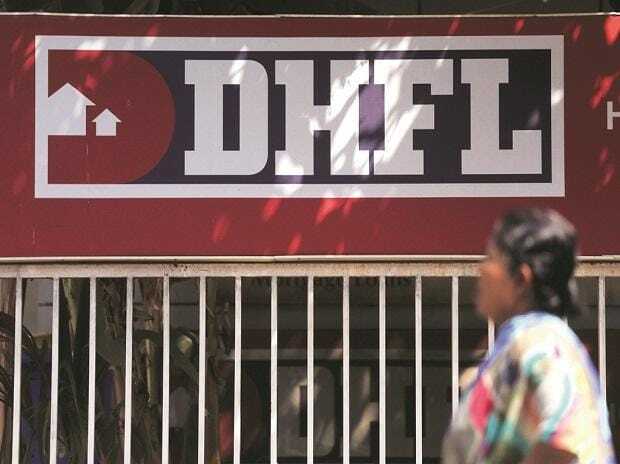 DHFL has also stated its intention to take steps to raise additional funds and increase on-balance sheet liquidity, including securitisation of home loans and sell-down of its developer loan exposures by March 31, 2019. Further, the company has also announced plans to induct a strategic investor. Progress on these initiatives and timely receipt of funds within the next month will be key rating sensitivity factors, CRISIL said.